Awards – A Blog, A Magazine. It's JustsumInspiration! Yeah! the awards were coming so often – I was for sure I would be getting one of those reactions…lol, could’da just been me, soooooo – I thought I’d let this one sit for a while and take a little break, know what I mean? However, I would really really like to thank my sister from another mother Rakkelle of Racquel Writes for nominating me for this recognition – I truly appreciate you girl and so sorry it took SOOOOOOO LONG!! I love Rakkelle’s blog, it’s filled with so much insight, thought and I have to say – it’s one of the blogs that I look forward to reading every….single….week, no doubt! So go check her out and follow her pleassseeeee – you won’t be disappointed and that’s a BIG/HUGE – I PROMISE YA!!! Select 15 or more fellow bloggers for this award. Let each nominee know you’ve nominated them and leave a link to your post. Well, numbers 1 and 2 are good so it’s story time (a brief story that is) and here we go! If you’re an avid follower of mine or if you’re not. I’ve mentioned this in a couple of blog posts such as this one – but if I can be honest, blogging honestly started as a hobby. I had never thought of starting a blog before until mid or late 2014 when I was scrolling around on my phone and seen the WordPress advertisement “Start your own blog today!” and I was like, hmmm – so I looked into it but didn’t start right away. After that instance, the thought seemed to come to me more and more and more about starting a blog. I had no idea as to what I would write about or if I even had enough in me to keep it up with consistent writing. I’m the type of person that can be very good about starting something but a failure at finishing what I started. I went on and didn’t give it much thought until March of 2015, I was sitting at my desk and seen that annoying WordPress advertisement again but this time I heard a voice say “DO IT NOW” I was so shocked and scared. I knew that voice was God and I knew at that moment that he wanted me to start the blog. The awkward urges I was feeling in those past months were urges signaling me to do what I felt like I was called to do and that is to “Encourage.” So as I sat there trying to figure out what name to call it, that’s when “Justsuminspiration” immediately dropped in my soul and that’s what it’s been ever since. 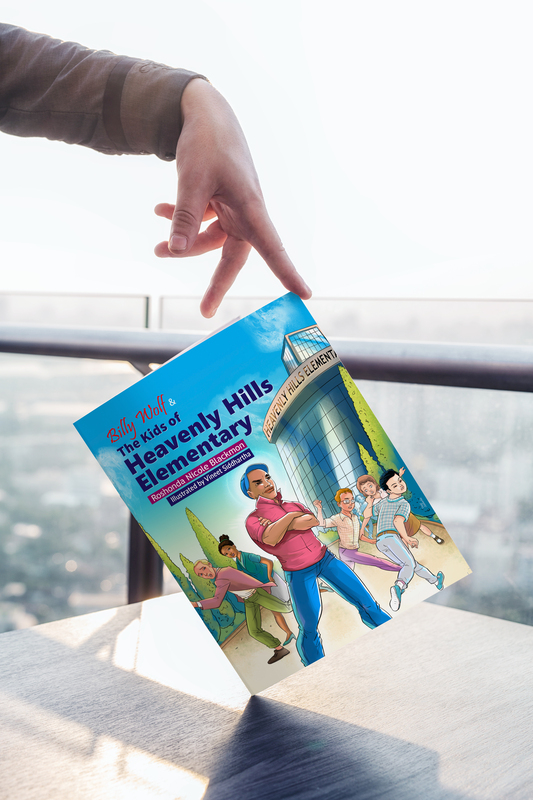 I added the magazine aspect of it to focus on everyday things such as people, movies and inspirational acts of kindness being done in the world by amazing people who may never get noticed by the media. You can find out more here concerning the journey ahead from that start point. The one thing I wasted a lot of time on was not really focusing on my blog and/or the reasons why I started the blog in the first place. I lost a lot of time watching other bloggers and if I can be honest, trying to mimic their style and verbiage thinking that’s what I needed to do in order to grow my blog and get traffic. My word of advice to any new blogger would be to “keep their focus” on their own blog (at least for the first month or two) trying to make it presentable, thinking of topics to talk about and looking at what will make their blog unique. We all have a gift and we all have something important to say, my blog may not be like anyone else’s and someone else will not be like mine – but that’s what makes the bloggerverse so unique because it’s filled with different stories, genres, backgrounds, colors, and purpose. My second piece of advice for any new, upcoming or seasoned blogger is to read the advice from Kristi’s post “Blogging Time Wasters” – it’s a really good read that has valuable comments from other bloggers who talk about their experience’s with blogging and the pitfalls they ran into while blogging. As stated before in other posts, I don’t have answers for everything and never feel as though I have all the knowledge in the world on this blog – my experiences are mine and I share them but I also don’t mind sharing good information that I feel could help others as well, even if I don’t have the answers. So, I would like to encourage get that word…wink, haha – any blogger to read that post, it’s full of information that can and will help you on your blogging journey. GOOD LUCK!! Now # 5 & 6 states to nominate 15 bloggers and in true form, I normally would – but I’m going to take the high road like my sis Rakkelle did here and I’m going to leave this award open to anyone that would like to participate, please do. I nominate ALL THE BLOGGERS WHO FOLLOW ME for this award. Your comments, love, and readership of anything I write are very much appreciated; especially on those days when I feel as though no one is paying attention, there’s always a comment left that gives me that lemonade to keep pushing through and I’m forever grateful. Until next time – thanks for taking time out of your busy schedule to read this post. Mystery Blogger, Who Me? Thanks Alexis Chateau! Well, since this week is a holiday week and most people are either away from work or barely working (wink, wink) I thought this would be a great “down-time” to complete the Mystery Blogger Award nom I received from Alexis Chateau, Alexis is an adventurer, writer and novelist who’ll take you to places you’ve never been or always dreamed of going right from your own home! Visit her blog and FB page to see where her next adventure lies! I’m very humbled to have been given this award as well as well as the sunshine and top 30 award. When I came into blogging, I would’ve never imagined being at this place and as I was telling a fellow blogger the other day, the road has been challenging but yet fulfilling and awarding, all of which I’m very grateful. Yesssss!!!! I was so excited when I opened my email this morning to find out that…..Drum Roll Please!! This Blog “A Blog, A Magazine. It’s JustsumInspiration! received an award as being one of the TOP 30!!! Inspirational Blogs on the Internet!!!! I can’t tell you how excited, elated, overwhelmed! & just overly SHOCKED! I am about this news. It really did come as a complete surprise. At first I was told that I would be among-st the Top 50 Inspirational blogs, so I was like – to be honored at all is a privilege but to open my email and see that I was pushed into the TOP 30 was really humbling; I didn’t expect that at all. Whoever said or believe that love doesn’t exist, must not have met Edith Hill, 96 and Eddie Harrison, 95 who met each other while playing the lottery. It was love at first “lotto” when Edith, took out time to talk to Eddie whom was sitting outside the store. They became inseparable ever since, the sweet couple got married to each other at the ages of 95 and 96. The special love, devotion and humble spirit towards one anther is one for the books I must say. Their story is hope that love can be found at any age. While Edith and Eddies endearing love story made the Guinness book of records as being the oldest interracial couple ever married; everyone wasn’t so pleased about their unbreakable bond nor union and that’s Edith’s daughter Patricia, whom has been fighting Edith’s other daughter Rebecca Wright to get full custody of her mother and take her out of the house in which she has lived for over 30 years (10 of which with Eddie) and drag her to Florida with her and her husband in whom Edith states is abusive and gave her a hard time when she stayed there previously. This story, while beautiful, took a drastic turn…..in which will make you angry, sad , disgusted and just downright upset over the outcome. Edith and Eddie is a short documentary produced by Laura Checkoway, the short film was nominated for an Oscar at this year’s 2018 Oscar awards. Enjoy the documentary below (29 minutes) and please leave your comments in the comment section as i would love to hear your thoughts on this one. Oh and by the way – (spoiler alert) – please grab your tissues, you’re going to need them! And The Sunshine Blogger Award Goes Too…. Hello Everyone! I’m so honored to have been nominated for this beautiful award by my fellow blogger/girl and a bag of pearls because she keeps it all the time in which is why I not only follow her blog but am a HUGE! fan of her work, I mean I’m sure we all have bloggers in which you literally read everything they put out and she is one of those bloggers for me, so without further ado – I would love, love, love for you all to go and check out my girl RudyMariee of Visions and Giggles blog – where she dishes out a little love a lot of laughs and a whole lot of realness; I promise you, you’ll enjoy every read as I do. Nominate 11 new blogs and write them 11 new questions. 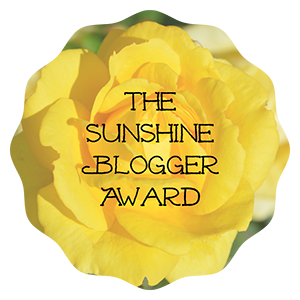 List the rules and display the Sunshine Blogger Award in your post. Where do you see yourself in 5 years? – Honestly, I see myself living life on my own terms, working when I want too and doing things that will bring awareness to people’s lives, such as being an advocate for bullying and an inspiration to singles, especially singles with children. I also would have published at least 2 more books by that time. I know, it’s a tall order but hey – a girl got goals! If you could change one thing about our current world, what would it be – I would change the mindsets of mentally ill people; where they would want to do wrong – I would change their mind to be more peaceful instead of destructive. I would make it so where they wouldn’t hurt anyone – but love themselves, because when you love yourself; you don’t have the mindset to hurt anyone else. Why did you start blogging – I started blogging because I realized that I loved to encourage people and wanted to start a blog so I could not only encourage the people around me, but everyone else in the world that I couldn’t reach. Know who you are, Be Creative, Be You, Be Unique & Bold and spend time working on your own creation and let go of copying someone else’s. We all have a gift and we all have something important to say, my blog may not be like anyone else’s and someone elses will not be like mine – but that’s what makes the bloggerverse so unique, because it’s filled with different stories, genres, backgrounds, colors and purpose. What is the most Interesting or most unusual thing about yourself – My outlook on people and the world; people sometimes don’t understand how I can still be nice to someone that wronged me or how I don’t seem to be mad or frown or have a bad day. What people fail to realize is that I have all those things – My faith keeps me grounded, just knowing who God is and how I want to rep him in the right way everyday, makes me change my attitude towards many things because I don’t want to disappoint him. What would be your idea of a perfect day? – Being able to write all day and find topics to talk about and maybe get out and network with other people and write stories. What are you passionate about? – Honestly, a lot of things but I’m more passionate towards children and the elderly, I hate to see them being abused/misused – Animals too! I hate to see people do harm to our pets, all three make me sad. What are you planning to do different in 2018 towards your blog? – Well, I’ve already started and that’s to create a sound cloud recording of my blog post, so that way if no one has time to read it, they can listen to it. And there may be more things, I wait to feel things in my spirit concerning certain moves with the blog – it has to make sense to me. Have you found anything particular difficult during your blogging journey? – At first I found it difficult to attract people to the blog – I constantly wrestled with “Am I posting the right content?” “Will people like it?” “How can I get more people, like such and such” but once I gave my blog over to God and allowed him to take over – I really don’t think about it anymore. Those that will come and like it will and those that don’t …. won’t. I’ve learned that every audience is not for everyone, I just keep doing what I need to do for mine and let the chips fall where they may. What caused you to start blogging? What is your favorite food you have eaten from a foreign country? Where did you go on your first travel trip and how old were you? What are your favorite and least favorite things about blogging? What is your favorite book or travel movie? What types of blogs do you enjoy reading? Well there you have it! Thanks Again to RudyMariee for the nomination, I am truly honored and Congrats to the nominees! I have to say, if you’re not going to participate whether you were nominated here or if you get nominated elsewhere, let the person know that you won’t be able to do it if your schedule won’t permit, trust me I understand – it took me forever to do this one…lol… If I can be transparent, I was voted upon other times, but could never seem to find the time to get it done. I never let the individuals know this, which made me feel bad as they took out the time to vote for me and I appreciated that. I ask that they please forgive me, if they are reading this post. It’s just that if someone took out the time to nominate you then that means they think you’re special, sort of like why the actors and actresses love to win the SAG award, because it’s a nomination given to them by their peers. So think of this as your SAG award!